WordPress help for entrepreneurs and small businesses. These are the same plugins that you’ll see in your admin dashboard when you go to Plugins » Add New. If I can’t find what I’m looking for there, I’ll switch to Google. Simply search for the functionality you want, and include the words “wordpress plugin.” Odds are good something will turn up. Before installing any plugins, check out these five things to consider before choosing a WordPress plugin. If you know that the plugin you’d like to install is in the repository, go to Plugins » Add New, and search for the name in the top-right corner. 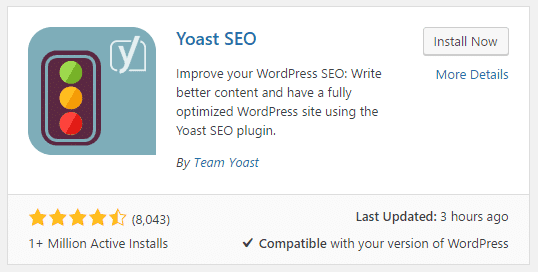 Locate the correct plugin, and then click the “Install Now” button. That will download the files to your server, and install the plugin. After it’s installed, the button will change to “Activate.” Click that and it should be ready to go within just a few seconds. Many plugins are not hosted in the main repository – this is usually the case for premium (paid) plugins. To install one of those, first download the plugin zipfile to your computer. Do not unzip it, just make a note of where you saved it. If you buy the plugin directly from the developer, after your purchase they’ll usually provide a download link. If they provide a license key, you should also make a note of that as well (Pro Tip: Store your license key in your password manager). On the Add Plugins page, click the “Upload Plugin” button at the top. Then click the “Choose File” button and select the zipfile from your computer. Then once you see the correct filename, click “Install Now”. Once it’s uploaded, the screen will reload. Click the Activate Plugin button, and you should be all set. If you get an error message because the zipfile is too large, you may need to contact your hosting company and ask them to increase the “PHP upload limit” for your account. After you activate a new plugin, if it requires any configuration, be sure to go through and set it up right away, and then test your site to be sure all is well. Sign up for helpful WordPress articles and tips delivered to your inbox. NerdPress is a trademark of Why Watermelon, Inc.
Blog Tutor is now NerdPress! Learn about our name change here.